Our Design Center in Orlando is where the fun begins! 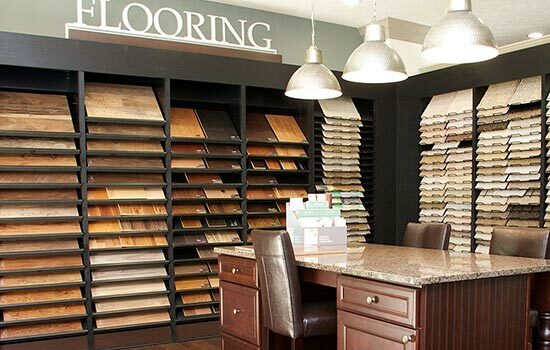 Here, you’ll be guided through thousands of Custom Choices™ with the help of a professional Design Consultant. Choose all the little – and big – things that make your home special. They’re all under one roof at our Design Center. Whether you love a more modern or a more traditional look, the Design Center has something for you. Customize your new home with the seemingly endless selections we have to choose from – it’s easy with the help of your Design Consultant. We know your home is a reflection of your unique lifestyle. And, that’s why you can explore the options available at the Design Center. Your Design Consultant will work with you to coordinate and create something that specifically suits you. Plus, we’ll help you keep an eye on your budget because we’ve pre-priced all of the options and selections for your convenience. 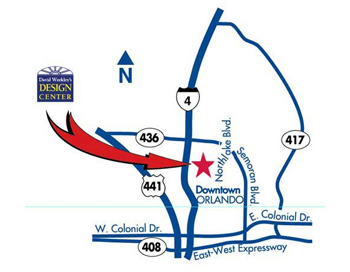 Our Orlando Design Center is open by appointment only, so please contact us at 407-865-8205 for more information. Traveling on I-4 eastbound toward Altamonte Springs, turn right onto FL-436. Continue to follow FL-436 for approximately 0.3 miles. Turn right onto S. North Lake Blvd. for about 0.4 miles. Traveling on I-4 westbound toward Altamonte Springs, turn left onto FL-436. Continue to follow FL-436 for approximately 0.3 miles. Turn right (after the Hilton hotel) onto S. North Lake Blvd. for about 0.4 miles. As Seen on New Home Source TV! 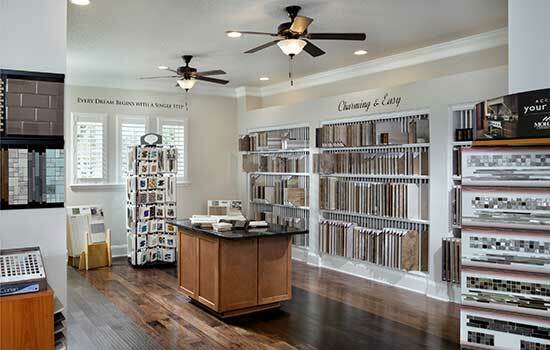 See the thousands of Custom Choices™ available for your new David Weekley home at the Orlando Design Center. Our Design Consultants will help you select those beautiful touches so you can personalize every room of your new home! David Weekley Homes - The Orlando Design Center from David Weekley Homes on Vimeo. All David Weekley homes in Orlando are energy-efficient and are backed by a heating and cooling energy usage guarantee. Discover where you can find these EnergySaver™ homes and learn how these homes are on average, 33% more energy-efficient than a home built in 2006. David Weekley Homes - Energy-efficient Homes in Orlando from David Weekley Homes on Vimeo. Here, the Haydel Family tells their story about the journey of building their David Weekley dream home! Listen as they talk about the home building process, their Build Team and the great, energy-efficient features in their new home. David Weekley Homes - The Haydel Family from David Weekley Homes on Vimeo.